Research new technology, design star-ships, and colonize new worlds as you face threats and conquer challenges from new and mysterious sources. Negotiate trade and treaties, wage wars, spy on your enemies, and promote outstanding citizens. 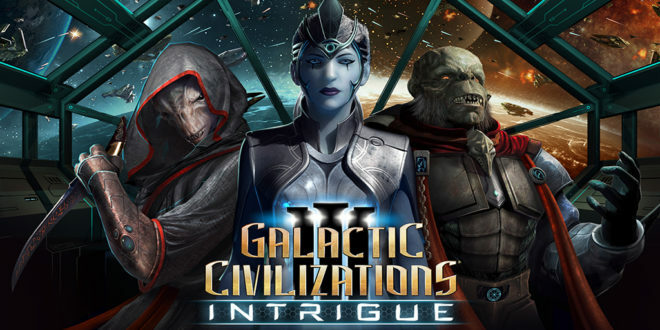 And when you've finished that, play again as one of the many included alien civilizations each with its own history, technology tree, ship components, and more. There’s always a good deal at the Bazaar! Well, maybe not always, but that’s what they’ll tell you, anyway. Mercenaries aren’t the only thing available here anymore. You’ll be able to purchase (and sell!) additional resources now – but, how steep the price gets depends entirely on how much is (or isn’t) available. In space, there is no biased reporting – that’s because we’ve hired a robot to handle it! Check the news to monitor who’s allying with who, who’s declared war on each other, and many other activities that are going on across the galaxy. Keeping up with current events and galactic happenings is the best way to stay one step ahead of your opponents.